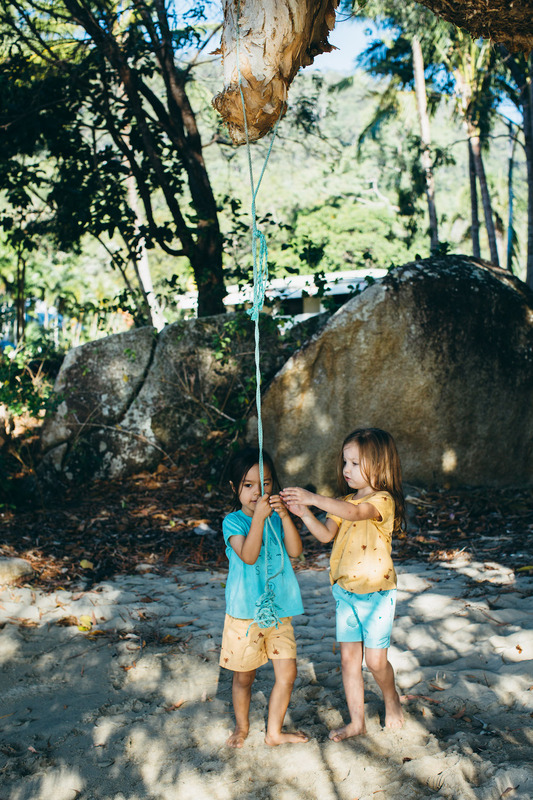 Coconut Grove is your own quiet beach where tiny kiddos roam and play under the shade of the palms. This collection’s laid back, relaxed feel and cool organic cotton is made with long, sunny days in mind. Coconut Grove, the secluded beach under the shade of the palms. A getaway far from the frenetic energy that comes with the closing of another the year. 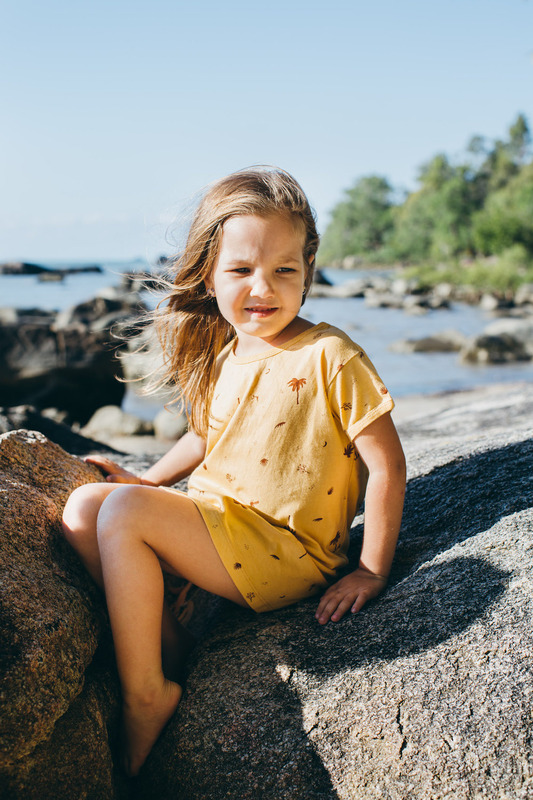 It isn’t always possible to escape the mayhem, but your kiddo will be giving off some seriously laid back and chill vibes in our Coconut Grove collection. 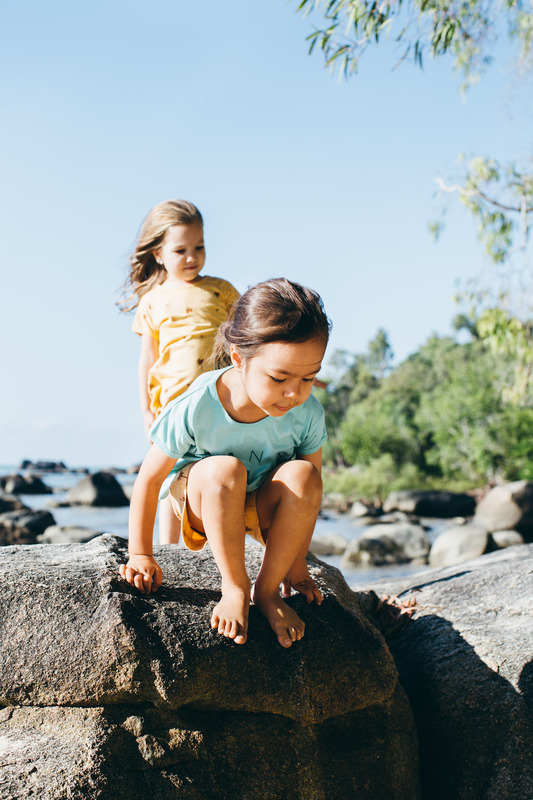 With fresh, bright colours and simple graphics that keep things easy and breezy, Coconut Grove celebrates the unique relaxed feel of an Australian summer. One of the very first holidays I remember was to Airlie Beach. I remember the pool (seemed enormous), the palm trees (they touched the sky), and the bright green bamboo shoot print on the cushions of the wicker lounge suite. There were long pathways through lush, tropical gardens that wound around trees and led from your room to the pool. It felt as though we were all alone on a deserted island. It was exciting, adventurous and magical. And the start of a very long love affair with palm trees. I was 4. Looking back, the pathways were probably only long to little 4 year old legs, the lush gardens were probably a bunch of shrubs that seemed amazing and tall to a tiny kiddo, and the secluded feeling I had was probably more to do with 4 year olds being so very focused on their own experiences. Coconut Grove has all the feelings of freedom and magic of that holiday, and more. I can’t wait to pass them on to you and your tiny humans. Photography: Maria Nguyen of Zen Photography.